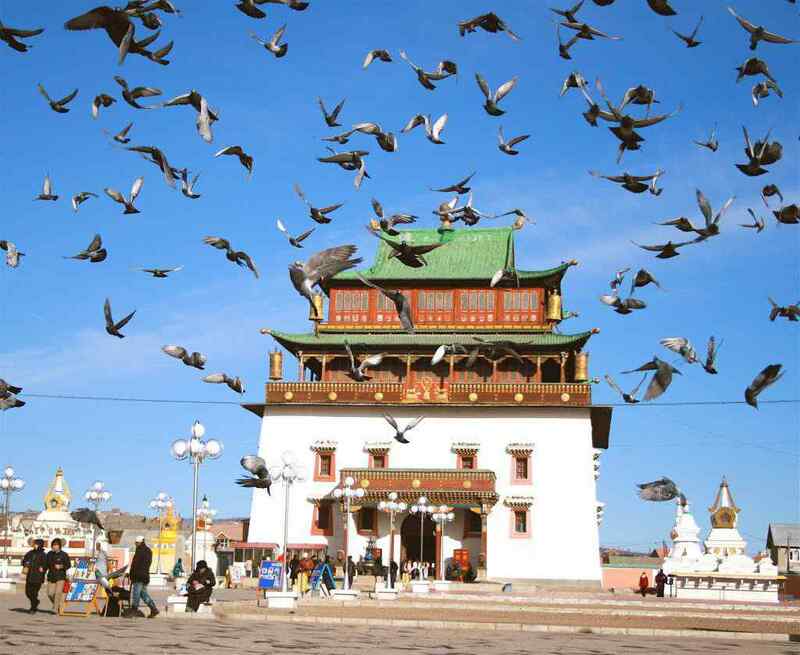 Are you heading off on a Globetrotting holiday to Mongolia? Can I just start by saying I am green with envy, it’s one of our favourite riding destinations and we have such incredible memories of our time spent in this part of the world. If you’re after an adventure, you WILL NOT be disappointed! 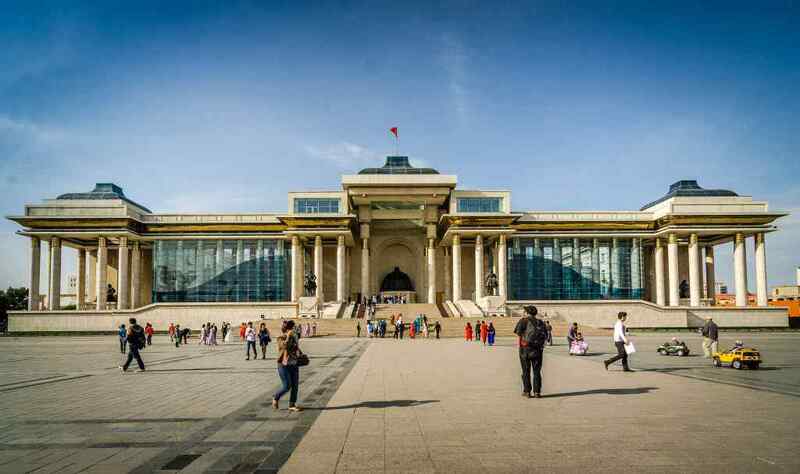 You are probably going to be arriving or departing from Ulaanbaatar, an enormous city that can be quite overwhelming if you aren’t prepared, so here’s a list of tips and tricks so you can enjoy yourself in this magnificent country. Ulaanbaatar is Mongolia’s capital city and is nothing, let me say that again, NOTHING like the pristine countryside you will be riding through. An enormous city of wild traffic, pulsating commerce and sinful nightlife, Ulaanbaatar is the cultural and business centre of Mongolia. It’s chaotic, it’s wild but it’s an exhilarating experience, especially in the warmer months when it bursts into life after slumbering through a long winter. It’s not the easiest city to navigate, but this every-changing city may be the biggest surprise of your Mongolian adventure. This is a great place to start your day of sightseeing as it is in the middle of the city and ripe in history. In July 1921, the ‘hero of the revolution’, Damdin Sükhbaatar, declared Mongolia’s final independence from China in this very place. 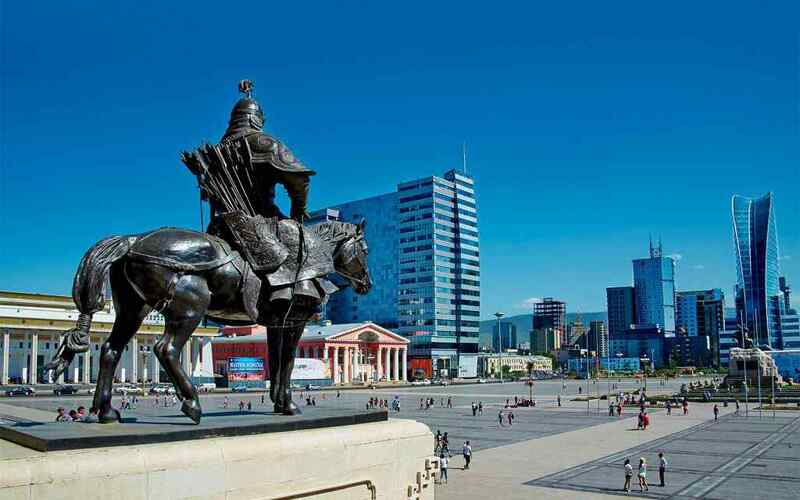 The square now features a bronze statue of Sükhbaatar astride his horse. There is so much to see and do around this square alone and you could spend hours here – Parliament House, the National Modern Art Gallery, the State Opera & Ballet Theatre, and Central Tower are all within a stone’s throw away for you to explore at your leisure. This is one of the country’s most important monasteries, and also one of its biggest tourist attractions. It’s full name, ‘Gandantegchinlen’ translates roughly to ‘the great place of complete joy’ and today more than 600 monks belong to the monastery. You can take photos for a small fee around the grounds, but not inside the temples. We recommend you try getting there for the captivating ceremonies which generally start at 9am. 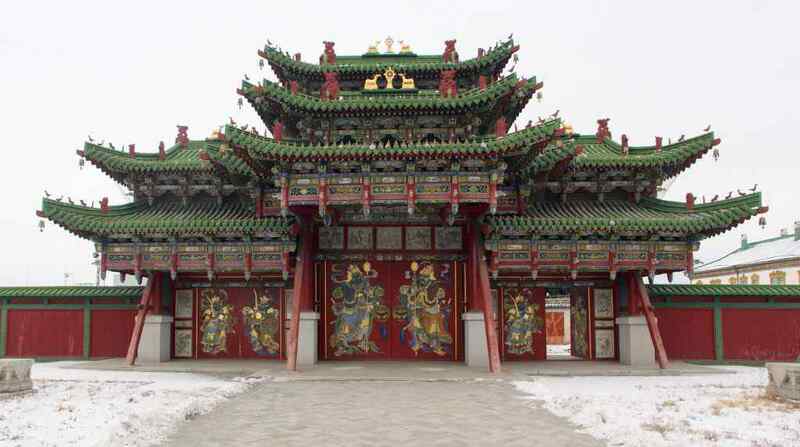 Built between 1893 and 1903, this palace is where Mongolia’s last king and eighth Living Buddha, often called the Bogd Khan, lived for 20 years. The palace was turned into a museum after the Stalin regime. There are six temples in the grounds and the white building to the right as you enter is the Winter Palace itself. Mongolia’s Declaration of Independence (from China in 1911) is among the exhibits. We suggest catching a taxi or bus here as it’s a few kilometres south of Chinggis Khaan Square and a bit too far to walk. This temple is an architectural masterpiece of the 19th and 20t century, and is smack bang in the middle of downtown Ulaanbaatar. 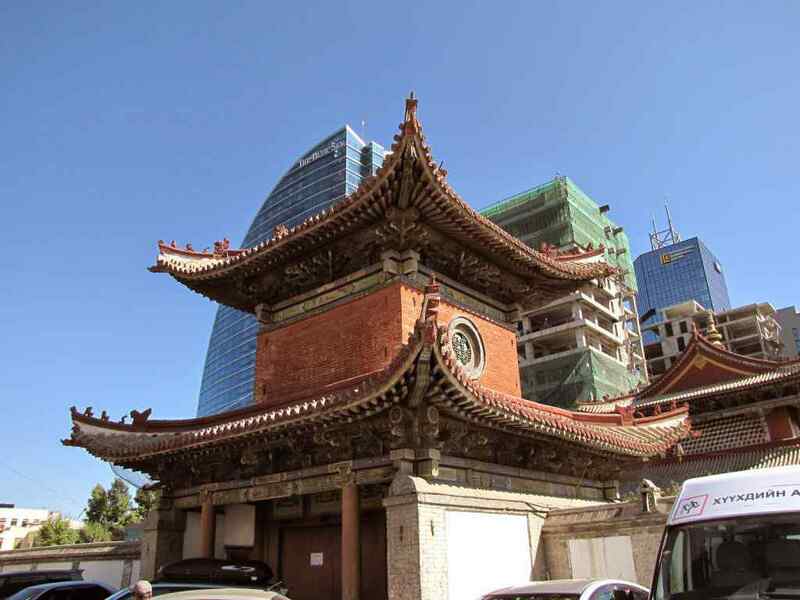 Built in the early 1900s, the temple complex is now a museum preserving the elaborately decorated interiors and containing a rich collection of other Mongolian Buddhist sculpture and painting. Namaste – Treat your tastebuds with a variety of Northern Indian dishes in this family-run restaurant. Try the delicious saag gosht (beef in spinach sauce) or murg makhni (butter chicken), both will literally melt in your mouth. Don’t forget to order a side of rice and my personal favourite, garlic naan (you can’t go past it!). The Bull Hot Pot – This is a local favourite among Mongolians, with a steady stream of patrons servicing its three city locations. It’s a great alternative to the meat-heavy menus you’ll find at most other places you try, so do yourself a favour and order an array of raw vegetables, sauces and thinly sliced meats, all brought to your table on platters, then cook the ingredients in your personal cauldron of boiling broth. Millie’s Café – This is a favourite among homesick expats seeking a dose of Western comfort food. Expect tasty burgers, sandwiches, soups and a friendly smile and greeting from the owners, Daniel and Densmaa. If you are there on a Tuesday don’t miss Daniel’s famous Cuban sandwich. Nomad Legends Mongols Club – Although tiny in size, this restaurant is a great place to try some signature Mongolian dishes in a more upscale atmosphere. Try a Mongolian milk tea or a plate of khuushuur (fried meat pancake). And for the adventurous eaters among you, sheep head is also on the menu. Bayangol Hotel – It’s big, it’s reliable and it’s only a five minute walk from Chinggis Khan Square placing it in a convenient sight-seeing location. Oh and did we mention Wifi is available for you to connect with loved ones? One last tip before you go…take a sense of humour with you. Mongolia is relatively new to the tourism game, so sometimes things don’t always go to plan. But put a smile on your face and have a laugh, because the best travel memories are always the ones where something unexpected happens!